Costa Koulisakis of Simaudio (left), with John Carroll (picture: Ian Rutherford) with the mighty 888. 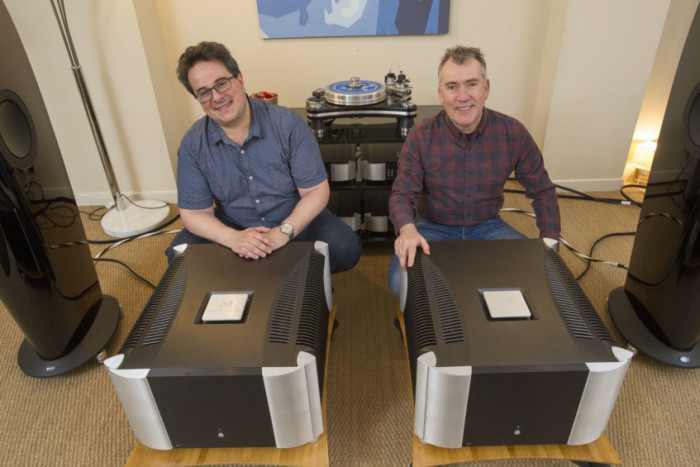 Wednesday 26 April saw the UK launch of one of the most expensive pieces of hi-fi equipment ever to be built, taking place at the Scotch Malt Whisky Society in Leith. Read the full article in the Scotsman.